If you are like other parents that always look for ways to engage children into new activities, especially to share their hobbies together, buy a kids metal detector. Children are usually reluctant to show interest to all those boring adult hobbies, but treasure hunting is something almost any child will be excited about. If your child is eager to learn the secrets of treasure hunting, you need to check out metal detectors for kids! Kids metal detector should show some specific features with qualities; one of the best examples is Bounty Hunter Junior metal detector. You have to be attentive to watch the reliability of the brand; also, you need something lightweight as well as not complicated in terms of settings. To make things easier, we have developed a rating of suitable machines; take advantage of it to opt for the best model. Detect History (detecthistory.com) is a free online resource that strives to offer helpful content and comparison features to it's visitors. To keep this resource 100% free for users, we receive advertising compensation from Amazon Associates Programme. Along with key review factors, this compensation may impact how and where offers appear on the page including, for example, the order in which they appear. Detect History (detecthistory.com) is a participant in the Amazon Associates Programme US and Amazon Associates Programme UK, an affiliate advertising programme designed to provide a means for sites to earn advertising fees by advertising and linking to Amazon.com. Metal detectors for kids should meet several crucial criteria. However, before we discuss them, you have to understand a few aspects considering children’s metal detector; first of all, when you children use kids metal detectors you should always be next to them, constantly, as well as watch the process for the sake of safety. Children can make danger out of any object they get their hands on, so do not just search near to them on the same location, you have to literally be walking next to the child. If the child is small, never allow him or her to use their junior metal detector without the surveillance of adults. Even when the child is older, and uses their youth metal detector confidently, never allow them to hunt alone, so it is better if you help them dig out each find, even if it is a bit tiring for you. This way, you will make sure the child is safe. Before you buy the instrument to give it to the kid, check the instructions on the box carefully. The device should match your kid’s age, height, etc. If not, there are risks involved. Secondly, you have to decide what kind of children metal detector you would like to buy. Do you need just a toy metal detector to keep the child amused for some time? If you need the toy type of thing, check out Best Metal Detectors for Kids 4-9 Years Old, but remember that it won’t bring lots of finds. If you believe the child will be genuinely excited to will share this hobby for some extended period of time, then you want the best metal detector for kids. In this case, learn the info about Best Metal Detectors for Kids 10+ Years Old. In terms of kids metal detecting, here are the criteria to consider: usability, price (this is important for all parents, because children can forget about their new toys or hobbies pretty fast), plus finds (because without finds, the kid will definitely forget about the device the next day). Make sure the tool is not too long as well as not too heavy for the child. It makes sense to choose simple technical characteristics to avoid complicated settings or tuning. The main idea of the metal detector, even the children’s one, is to bring finds. If it doesn’t, there is no sense of buying it. Choose reliable tool with efficient frequency plus search modes. Cheap Chinese toys are good to impress the kid for a day or two. If you want to actually share an activity, teaching the kid new things, opt for a more expensive one. At least you will be able to sell it later if the kid turns out unimpressed. In this section, you will find devices that are actually real metal detecting machines created to find treasures like coins, relics, or jewelry. They were developed specifically for children so therefore meet all sound requirements to quality as well as technical specifications. With one of these instruments, the kid will be able to spot some valuable stuff. Also, as the name of the section suggests, it is better to buy those tools to older kids starting from the age of 10 or more. Firstly, real detectors are heavier and also need at least minor tuning small users cannot cope with, as a rule. Secondly, efficient equipment means the kid will actually find objects, while you will have to help taking them out, which is safer to do with older kids. This one is considered superior for treasure hunting with kids. The reason number one is it is perfect to check whether the small detectorist enjoys the process. If yes, the parent can easily buy something more complicated later. This tool will certainly bring lots of finds; it has tons of positive comments from users all over the globe. At the same time, it is super easy to use, plus you get it all for an adequate price. The only disadvantage is too few settings, so the variability is comparatively low. Yet, Bounty Hunter Tracker IV is really cool for kinds so you are unlikely to find the same quality for the same price. The weight of the machine is 4,2 lbs which is a bit heavy, but the length can be adjusted. It is powered by two 9V alkaline batteries, so no fuss with the AA ones. It offers one frequency (6,6 kHz), three search modes including all-metal regime, the depth of reach is up to 2 feet. Also, there are decent discrimination, automatic ground balance, plus adjustable sensitivity. This one is more reliable and high quality than the previous item. It is easy to use, but simultaneously it 100% brings tons of finds. Users all over the globe send positive feedback about this model, partially also due to pretty decent discrimination – the discrimination scale is from zero to 99. One of the disadvantages is price: the model is a bit more costly, so although this is very fair considering the quality, we still remember that the kid can give the hobby up at any moment. Technical specifications include: three search regimes, four sensitivity and depth adjustment settings, three audio tones, adjustable length plus sound weight (only 2,75 lbs). The single frequency is 6,5 kHz, powered by four AA batteries. This very item is perfect for jewelry as well as relic hunting, shows nice results on both dry or wet beach. The coil is submersible, but only in fresh water (so no salt water search is allowed). As you can see, there’s a bunch of cool features to make the search really successful. The kid will love this tool and is likely to enjoy the hobby for longer than a week (hopefully maybe two!). There is nothing super fancy in this machine, it is pretty standard, so therefore easy to use. It is important to underline the features of the armrest – it is plastic and rather flimsy, but if the kid breaks it, you can simply turn it around to use the machine further. Another advantage is big bright display showing all indications clearly. With this display, the child will learn to analyze the data very quickly. One of the main disadvantages is 9V PP3 accumulators, but this is a con for parents, not for the child (they don’t care about power supply until the toy works). This item is claimed to be developed for beginners, which also means it is good for kids. The price is very low-budget; if the kid dislikes the hobby you will easily sell the tool. As for settings, sensitivity as well as volume are adjustable. The main specifications are 3,7 lbs of weight, three modes of operation, submersible coil. It is always nice to have a waterproof tool, especially for kids, since they can unintentionally stick the instrument into a puddle or mud. Also, no one wants to interrupt the search because of small rain or just wet weather. Fisher F11 gives all you need for treasure hunting with a child. If compared to other products, this one by Minelab has one immediate advantage: it is very well designed, therefore will be super suitable for a child. On the other hand, it is a bit flimsy, so there is a risk of damage (but not obligatory, of course). In terms of quality plus usability, it is very similar to Garrett ACE or Fisher, but is ranked lower due to weaker discrimination, which in its turn decreases the percent of finds. Another benefit is small weight; weighting only 2,2 lbs, Go-Find 22 is one of the lightest models in the niche, which is obviously good for the small user. The price is pretty average. Other specifications include: two search regimes, three levels of sensitivity, five levels of volume. The coil is waterproof, providing another advantage. The thing is powered by four batteries of the AA type. Minelab generally makes cool devices, and Go-Find 22 is not an exception. It was created as a tool for noobs, foldable, portable, lightweight as well as easy to use. Lack of tuning is compensated by the item being user-friendly. Perfect tool for kids. This tool is pretty much alike to the Bounty Hunter TK 4. Its technical specifications meet all minimal requirements you need for hunt; generally everything is in Bounty Hunter style, simple as well as easy. This item is in the middle of the list because the previous models have better specifications; however, it is still very decent for its price and usability level. It is a very cool, affordable option for children to enter the hobby. It is super easy to learn how this machine functions, and the process of search is also simple to master. Another advantage is comprehensive indications on the display. The features include: digital target identification, visual indicator of depth, nice discrimination, three levels of audio tones, automated ground balancing. The weight is 4 lbs, instrument is powered by the 9-Volt alkaline battery, while the coil is waterproof, which enables the young hunter to search in shallow waters. The single frequency available is 6,6 kHz. The main con of this item is as follows: due to primitive tuning options, it disables the user from upgrading the software to more advanced features. So when the child masters this tool and would like to improve the skills, it is a good idea to just buy a new one. It is a bit harder to pick a model for younger kids, mostly because the parent should assess the child’s abilities and inclination very objectively (which is almost always impossible). One should consider whether the small seeker will be able to analyze the display, or would like to hear only audio tones, how interested the child is likely to be about the new hobby, how long can the child play the same game and pursue the same activity? If the kid is really small, perhaps it makes sense to buy a toy detector as the first try. If the small detectorist is excited, or demonstrates inclination to treasure hunting, the parents should opt for more high-end machines. For the kinds of 9 years old and below, this is one of the most adequate options to purchase. Bounty Hunter Junior can be considered something in between a real full-fledged metal detector and a toy. It will bring finds, but not many. In terms of design, it is clean and simple, easy to operate. In terms of software, it is as easy as pie. The control is very primitive – just two buttons on the control panel, so the kid will have no issues coping with it. The machine allows to adjust sensitivity and discrimination. The ground balance is preset. The length of the shaft is adjustable, and the weight is perfect, only a bit over 1 pound! The item is powered by 2 9-volt alkaline batteries. The manufacturer states that the item is lasting enough to live through potential abuse and damage when used by a child. This is a 2018 novelty by the Minelab, the cheapest model in the Go-Find series. One of the most important advantages is extremely convenient and user-friendly design. The disadvantage is weak discrimination, but the device will still bring some finds. Settings are limited which is good news for small searchers. The technical specs are as follows: weight is 2,2 lbs, length can be adjusted, the device is foldable, powered by four batteries of the AA type. Two find modes, three levels of sensitivity and three levels of signal volume. The main principle is unfold, turn on and go. A very nice option for kids, as it is light to carry, easy to set, and pretty comprehensive in terms of target identification – the icons on the control panel will flash to indicate the type of the potential find. 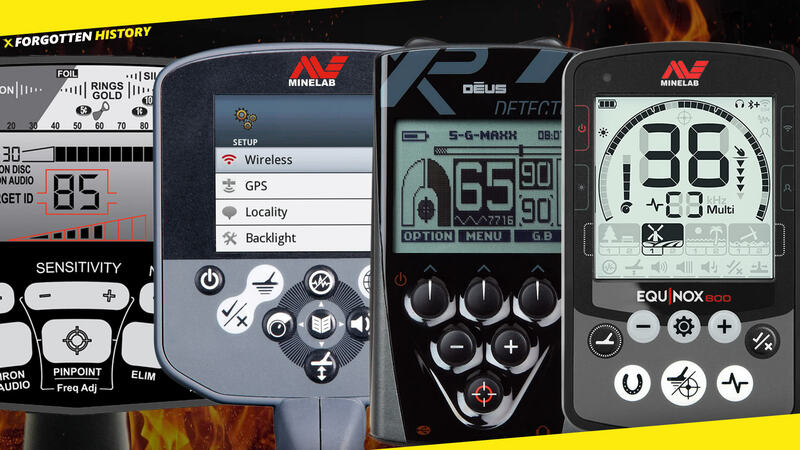 Minelab is a reliable brand, so the item is worth your money. Nice and stylish design, suitable for kids. Shows good results on different locations, from own backyard to local parks and even seashore. Automatic ground balance allows it to adapt to different soil types without additional tuning. Sensitivity has several levels. Discrimination is more or less okay to tell valuable items from trash. The kit includes headphones, which is a pleasant bonus. Power supply is two 9V alkaline batteries that should be bought separately; the battery life will be totally enough for the child to play for an hour or two. Another drawback is absence of visual display; of course the kids rarely consider things like this, but for many, visual information is helpful when learning treasure hunting. Not every young child is able to interpret the audio signals correctly and the learning curve can be a bit steeper without display. The item is still cool for its price. This is a very affordable on-budget metal detector for children, but please mind that it is almost a 100% toy (even though you may doubt it looking at price). It weight 3,2 lbs and the shaft is adjustable. The tool is said to have discrimination of a kind and it is equipped with visual display showing target indication. The two 9-V batteries should be bought separately. One of the advantages is that the coil is waterproof, so the kid can search in shallow water on the seashore. However, please mind that salt water can influence the efficiency of discrimination here. This one is very suitable for children. The price is a bit higher than for some of the previous machines that show better features; however, the kit includes the carry bag and headphones (and even the battery!). Three search modes with discrimination promise some finds, and the LCD screen shows indications for depth and object type. The coil is waterproof, and automatic ground balance provides adaptation to the soil. Can be considered as an option for small newbie treasure hunters. It is never an easy task to opt for a proper metal detecting machine for a child, due to a number of reasons. Children may lack interest and focus to appreciate an expensive present, or may lack skills to cope with settings and interpretation of the data. So the parents face a complicated task of assessing their children’s inclinations to metal detecting. To choose a device for 10+ years old kids, consider Bounty Hunter Tracker IV, since it shows a reasonable balance of automatic and adjustable settings, offers tons of finds, and is actually easy to cope with. For kids of 9 years of age and younger, the choice is even more complicated. However, both Bounty Hunter BHJS Junior and Minelab Go-Find 11 will be a nice option. Both being easy to handle, Bounty Hunter is very easy to set, while Minelab provides the brand’s time-proved quality. If you manage to opt for the optimal model, you and your kid will share the joyful moments of spending time together and spotting some real treasures. What are the best spots for treasure hunting with kid? The best spot to start from is your own backyard; you both will have a chance to give the machine a try and learn what signals it gives for what objects. It also makes sense to bury several metal objects and try to find them in the yard. Afterwards you are ready to go to public places. Public places are actually the best spots, since they are full of potential finds and the kid will be able to find a toy or even a lost phone, which is more interesting to young detectorists than an ancient coin. Having an option of activity is good as well; kids have short attention span and will want to interrupt their hunting for a while to run around or go swimming. So a local park or beach is the best spot. Not only it will bring the child valuable finds, but the child will be able to change activity modes and therefore won’t become tired fast. Should one take the kid for the whole day search? It all depends on the kid, of course, but you’d better not. Firstly, kids lack that much concentration and will distract you from searching. Secondly, children are less physically endure and will get tired really quickly. Thirdly, kids metal detectors are usually weaker and the kid will get less finds, which also results in less enthusiasm. So even if you take the offspring with you for the whole day, think beforehand what they will do when tired of detecting. Should one buy an expensive machine for the child? Price is not the most important criterion here; how much the child is interested in the hobby is the most important criterion. You can purchase the most expensive tool available, but what’s the point if the kid drops it down in an hour. So it makes sense to look for a decent quality tool, and give it a try. If the kid is enthusiastic, you can upgrade the machine for a more advanced model in a while. How to tell the difference between an affordable metal detector and a cheap toy? Firstly, you have to remember that affordable does not mean cheap and low-quality. To tell the difference between a real thing and a toy, check the brand and specifications. If the brand makes real machines for grown-up experts (like Garrett, Minelab, Fisher, etc. ), and offers a kid’s option, it is totally worth buying. If this is a Chinese company manufacturing mostly toys, it means that their tool is also a toy. Are Chinese detectors worth buying? You can purchase one for the younger child, but you still risk to get a low-quality item. Items from well-known brands are reliable and safe, and they are given warranty. Chinese items, even from local brands, should be perceived only as a toy.